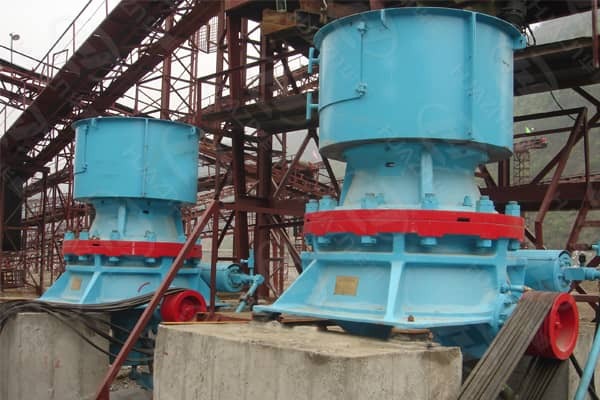 Home > News > Product Knowledge > Why the Main Shaft of Cone Crusher will break? Cone crusher is used for the crushing of raw materials in metallurgy, construction, highway, chemistry and silicate industry, which is divided into different types according to the crushing principle and products particle shape. It has large crushing ratio, high efficiency, low power consumption and uniform granularity that is suitable for the medium and fine crushing of various kinds of rock and stone. The defect of traditional cone crusher mainly reflects on the machine shaft, which means it often causes the shaft breaking. The experts from Luoyang Dahua believe that there are two reasons, one is the intensity of main shaft is weak, another one is effect of overload.